Homeopathic remedies will help a person with insomnia or sleep disturbances improve naturally, without drugs. A good night's sleep is critical for healthy brain function, normal neurotransmitter levels, hormonal health, energy and wellness. 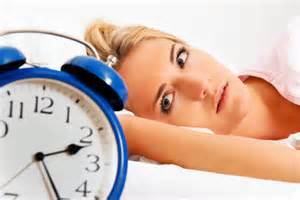 Sleepless nights rob precious energy from our bodies for rejuvenation and can lead to chronic diseases. Beginning with STRESS, too much caffeine, too much intellectual stimulation which includes studying late at night - all of these deplete mental and physical energy and rapidly. Most adults need 7 to 8 hours of quality sleep for optimum body functions. Teenagers need even more, as doing growing children, usually 10-12 hours. Many teenagers and colleges students are severely fatigued from lack of adequate sleep. Adequate sleep is essential for proper neurotransmitter function, hormone production, liver detoxification function, overall healing and ongoing health! Insomnia and chronically anxious and restless sleep; sleep prevented from anxiety, fear and worry. Tossing and turning in bed, lying awake, can't fall asleep. Hard to let go of thoughts. Fear of disease, health worries, death. Movements wake from sleep. Worse after midnight or around 1 am. Chilly, better with warm, better with hot drinks. Insomnia with rapid thoughts, overactive mind. Can't sleep due after surprise news, including both good or bad news. Physically restless, nervous energy, over excitement. Worse with coffee, drugs, emotional stresses. Insomnia from anticipation; anxious about the future; anticipation anxiety. Sleepless from exhaustion because it is hard to fall asleep. Person feels dull, drowsy, eyes and limbs are heavy. Can be sleep from itching. Insomnia from grief. shock or disappointment. Constant sighing and yawing. Sensation there is a lump in the throat, hard to swallow. Can have hysterical reactions to grief. Arms and legs jerk in sleep, restless sleep. Trembling. Worse from caffeine. Insomnia and restless sleep, anxious dreams. Wakes from hunger. Aggravated by too much eating or fatty foods. Digestive system is upset easily, gassiness, bloating. Hard to wake in the morning, wakes up tired. Insomnia with waking between 3 - 4 am. Sleepless from mental strain, too much study, business worries. Irritable, yawning. Worse from coffee, alcohol and over indulgence. Sleepy after meals. Walks and talks in sleep. Sensitive to noise and stimulus. Usually chilly, worse from cold.